In 2004, Kelly asked me to write her memoir because she wasn’t capable. She was a quadriplegic, which meant she couldn’t walk or use her hands. In 1999, she’d been an Indiana University cheerleader and a nationally ranked athlete. While on summer vacation, she was hit by a drunk driver and sustained injuries that changed everything. It was devastating to hear what her life had been compared to what it was. She didn’t want pity. She wanted to inspire people. What she’d done with her life as a quadriplegic was more than many people do as able-bodied people. At the time, I didn’t know how to self-publish a book, but I was determined to learn how. I surrounded myself with other authors who were helping writers become authors. I studied the craft and learned the industry. I self-published six books, many of which became award-winning and best-sellers. In 2015, we published Fractured Not Broken. It’s selling better than any of my other books. It’s won awards. It’s optioned for a movie. But more importantly, it’s changing lives. After I wrote Kelly’s book I quit writing. None of my writing felt as significant as her story. I searched for what to do next. I asked God, “What now? How can I live a life of significance?” I wanted a life that mattered. I joined the John Maxwell Team to learn the leadership skills I wanted to teach others. I surrounded myself with other leaders all over the world, and I enrolled in courses with John’s top speaking coach and life coach. Today, I’m leading authors to success. I call myself the UNCOVER AGENT because I help writers uncover the message in their stories so they can leave a legacy. 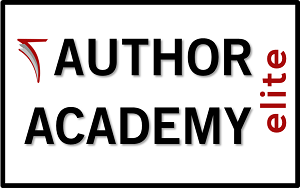 I promote AUTHOR ACADEMY Elite because I believe in the mission of this organization and Kary Oberbrunner. I believe he can help you make your book a business, a legacy that will live on long past your life. I started a project called, Leave a Letter, Change a Life. Just by writing to people in our lives, we can change the trajectory of their purpose. I show you how in this free ebook. If you’re interested in joining my FB page for authors where I share more free tips from people in the industry, please go HERE. Author of CACHE a PREDATOR, a Geocaching Mystery, SCATTERED LINKS, FRACTURED NOT BROKEN, and the ECLAIR series. WILY, THE CANINE PANDEMIC. If you’d like to work one-on-one with me, please shoot me an email. If you need help writing your book description, you can find me at Fiverr HERE. My other wips include: Glow Girl and Finding Home. I’ve been published in Adoptive Families, Brio Magazine, Splickety Magazine, Kyria, The Writer’s Digest and have won contests in both The Writer’s Journal and The Writer’s Digest. Scattered Links (aka Love is Just a Word) was a bronze medalist is the 2010 Frasier Contest, a 2011 semi-finalist in the ACFW Genesis Contest, and won the Aspiring Writer’s Contest withe THE READING ROOM, 2013. Both CACHE a PREDATOR and SCATTERED LINKS won Gold Medals in the 2014 READERS’ FAVORITE INTERNATIONAL AWARDS. Scattered Links won a BRONZE MEDAL winner in DAN POYTNER’s GLOBAL eBOOK AWARDS and was the winner of the 2014 Kindle Promo Book Awards. Fractured Not Broken won the GOLD medal in the 2016 Readers’ Favorite Awards and the Inspirational and Spirit Award in the 2015 New Apple Book Awards. Public speaker: How to Write a Novel in 30 Days, How I Became an Amazon Bestseller and You Can too, Attachment Disorders in Children, How to Overcome Writer’s Block, Sometimes You Win, Sometimes you Learn, The Five Pillars of a Best-Selling Writer, The Three Reasons Authors Sabotage Their Success. Photos: Many of our blog post photos are from Morguefile which you can find HERE. For a FREE early-reader children’s book, ECLAIR MEETS a GYPSY click HERE. If you’d like to make a donation to help us continue to provide valuable content for writers, please click over to the DONATION box. Thank you!